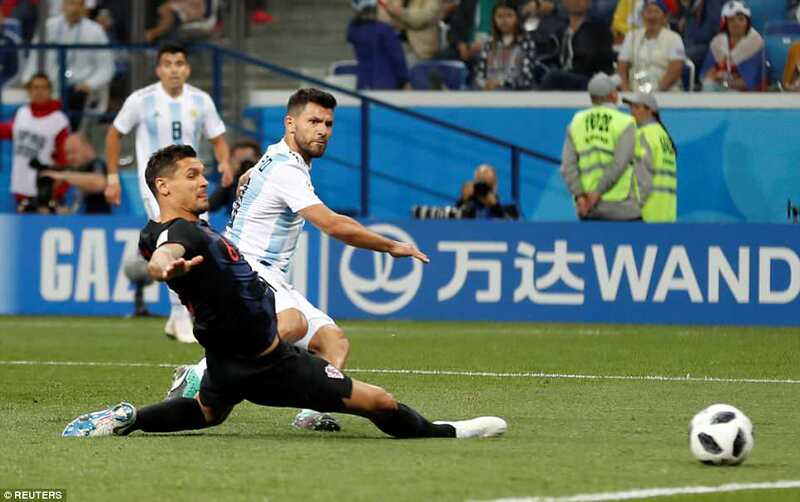 CROATIA 3-0 ARGENTINA – NIZHNY NOVGOROD STADIUM: Argentina are on the brink of a humiliating group stage exit at the 2018 World Cup after losing a gripping battle to Croatia on Thursday night. 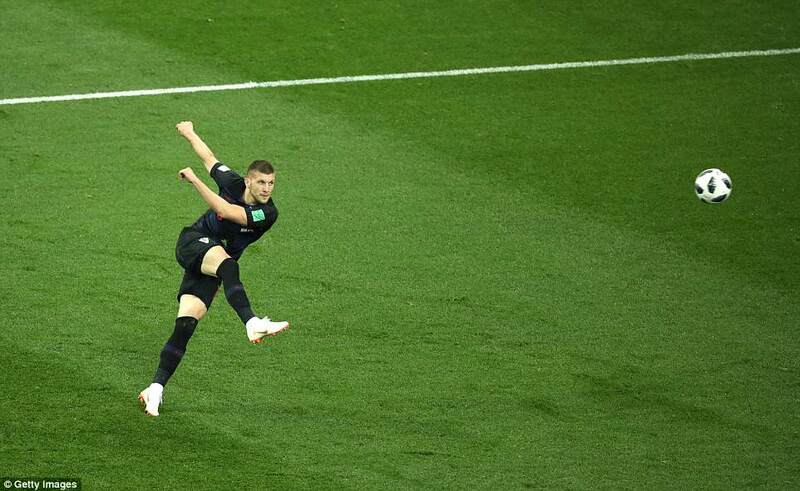 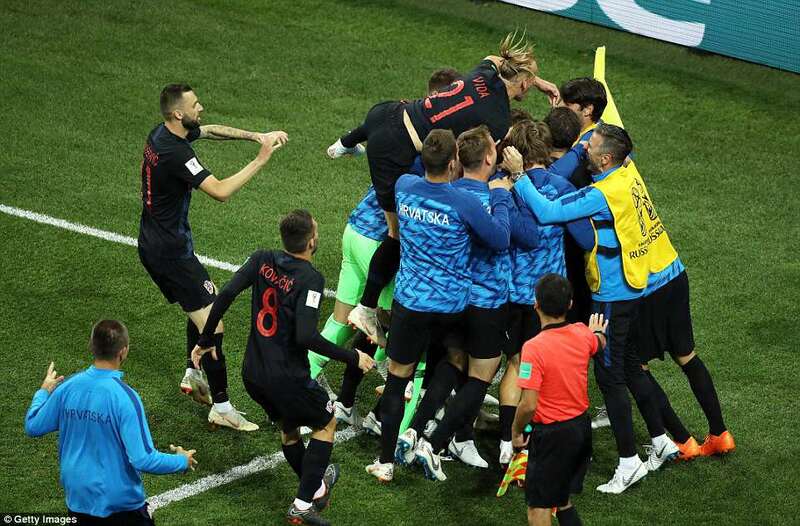 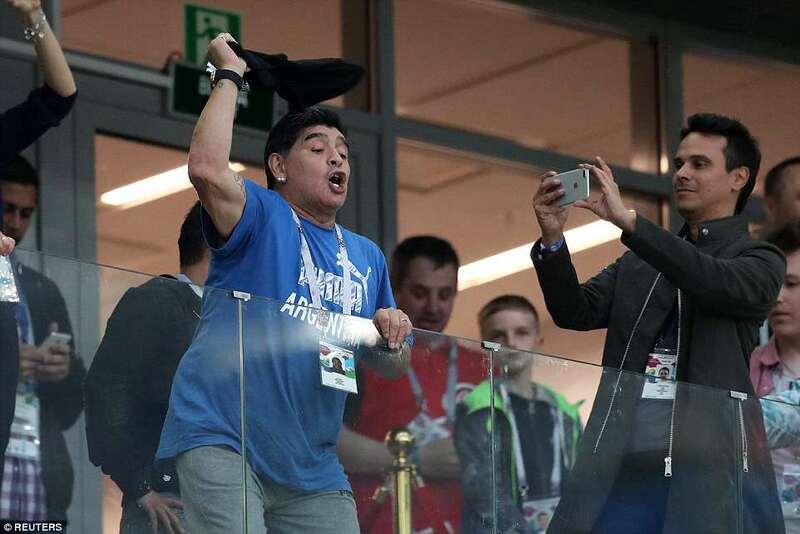 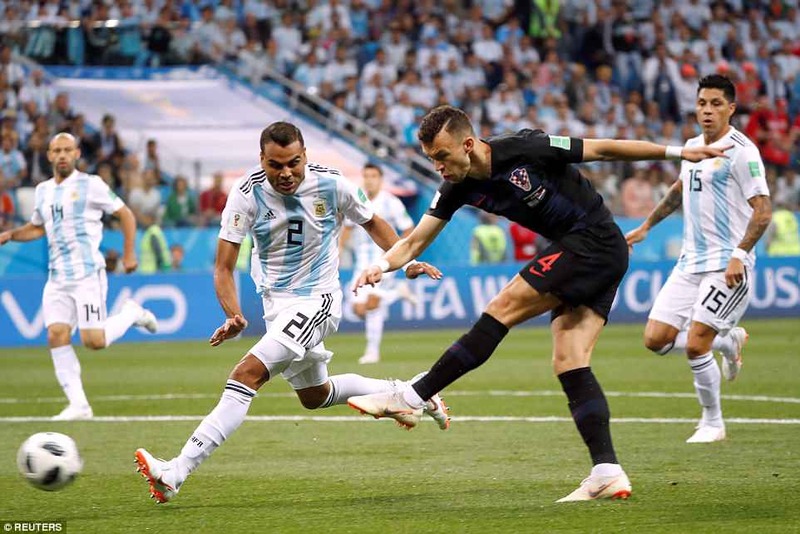 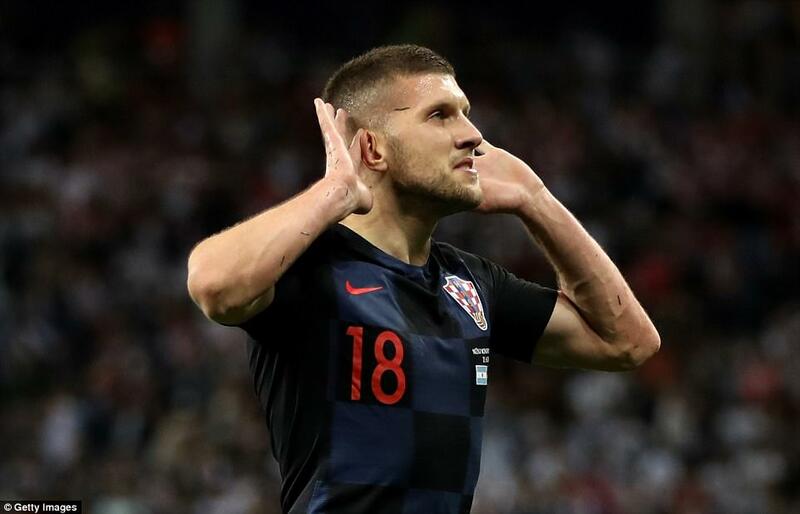 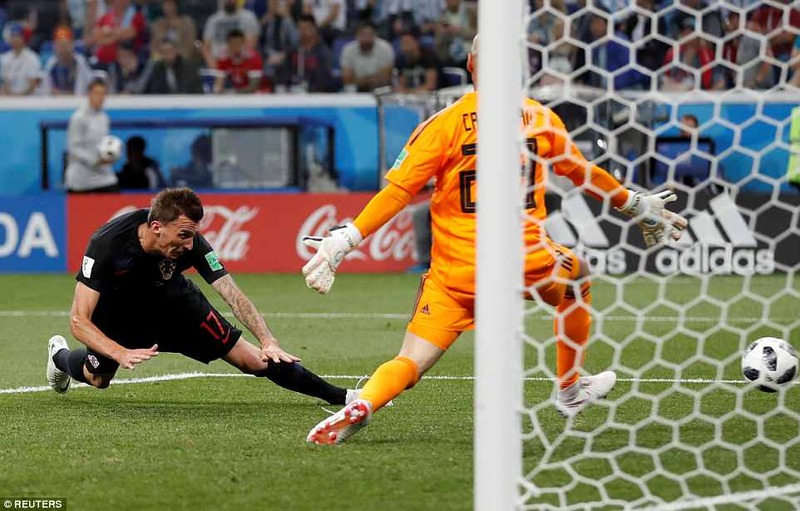 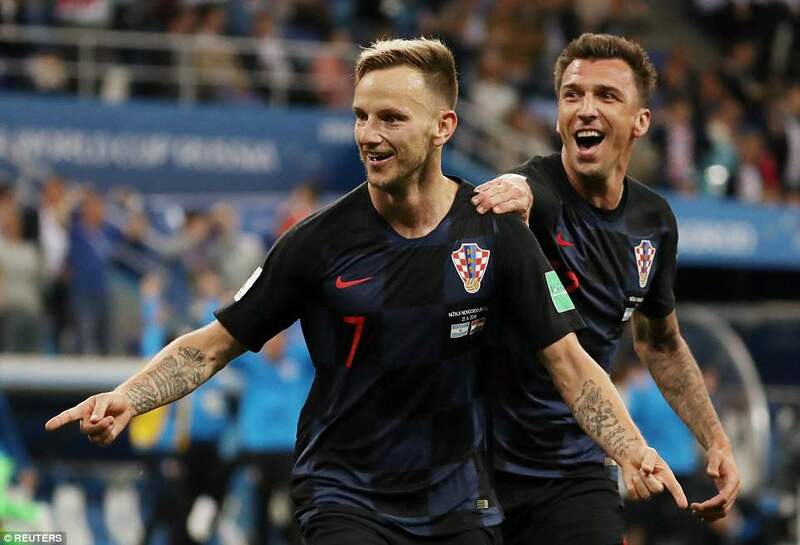 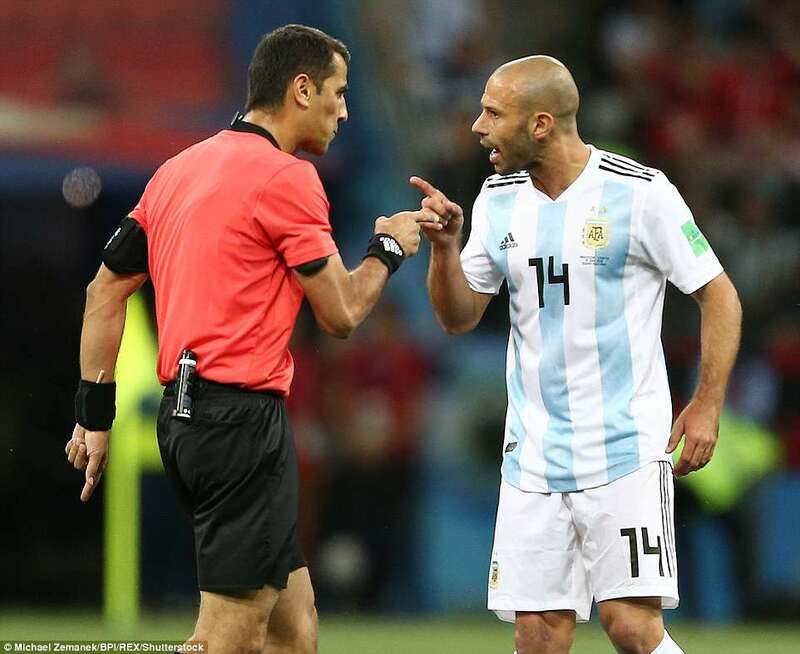 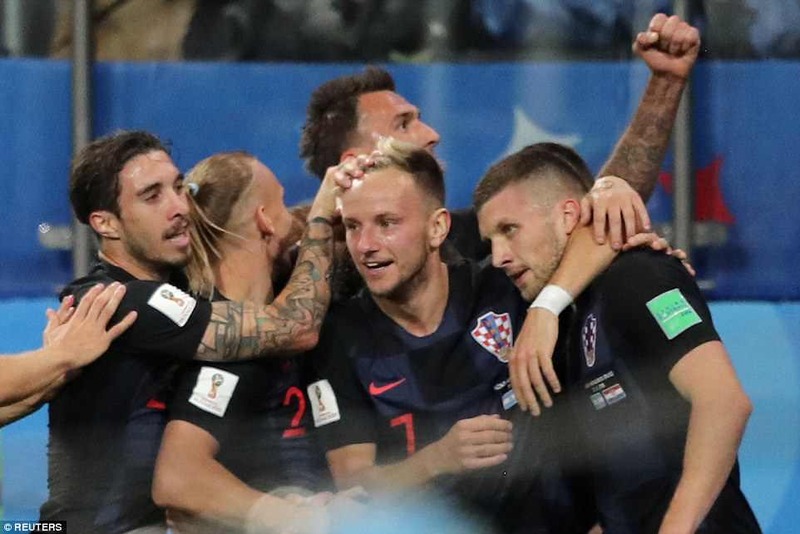 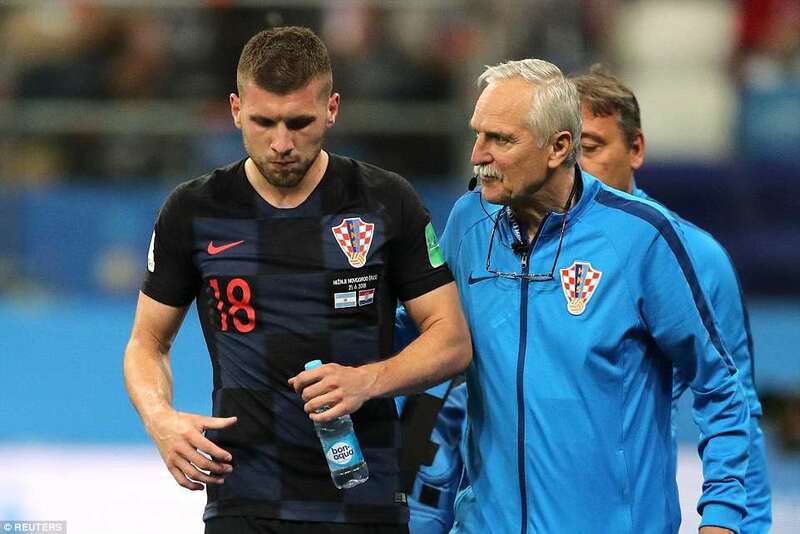 After a goalless first half the Croats took the lead in farcical circumstances after a miskick from Willy Caballero went straight to Ante Rebic, who found the roof of the net with a crisp first-time volley. 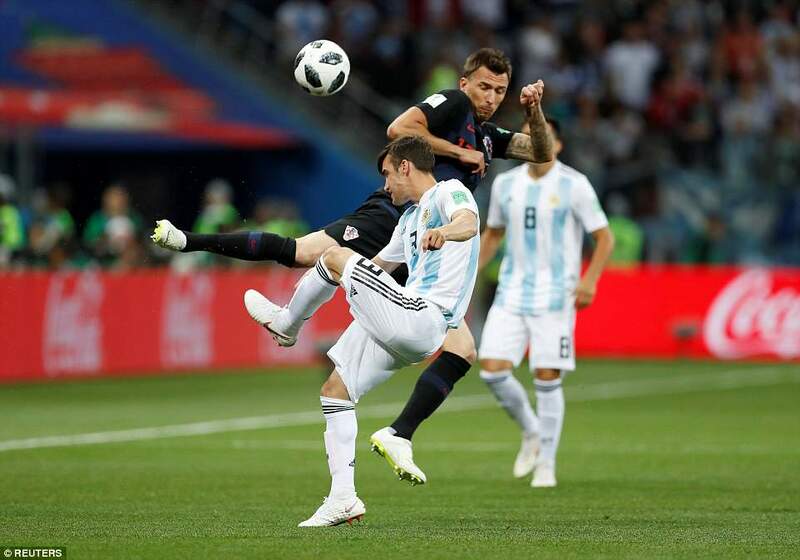 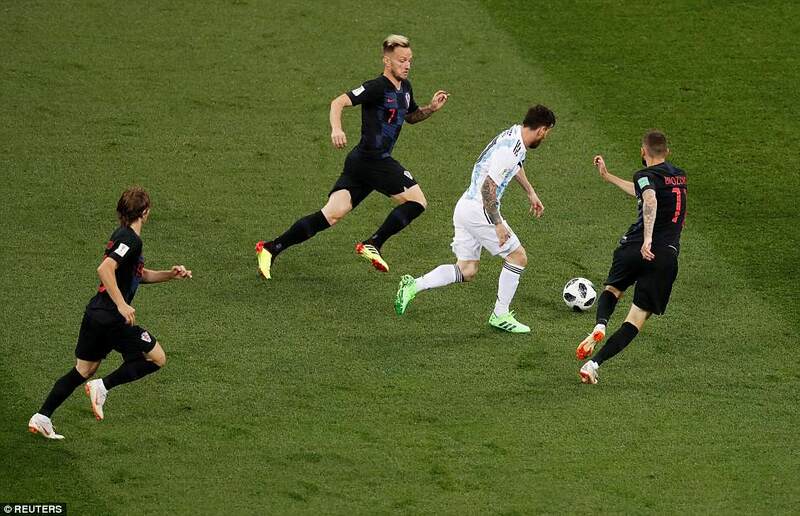 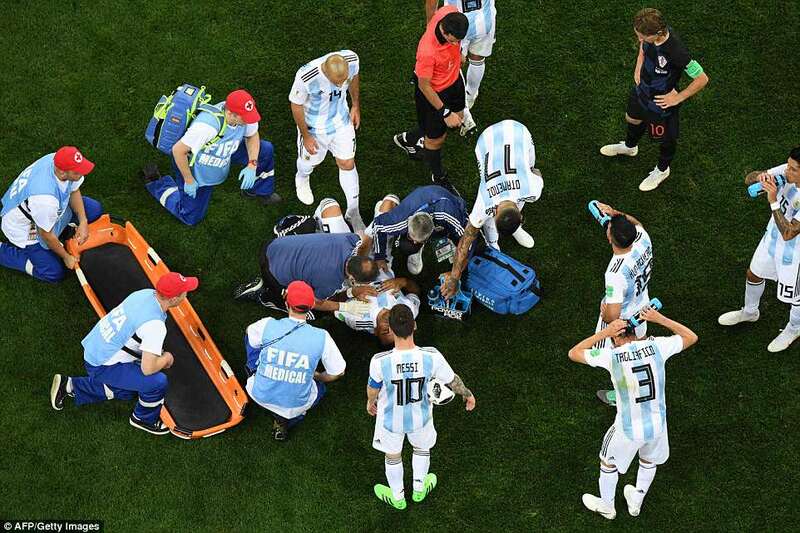 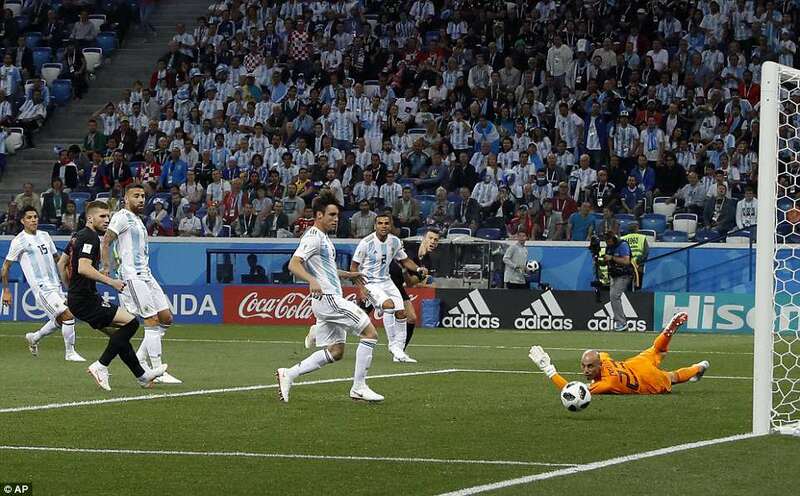 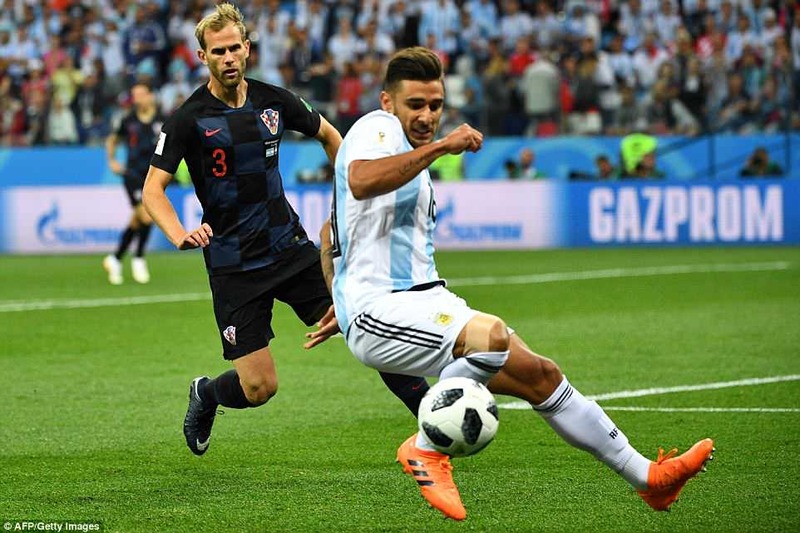 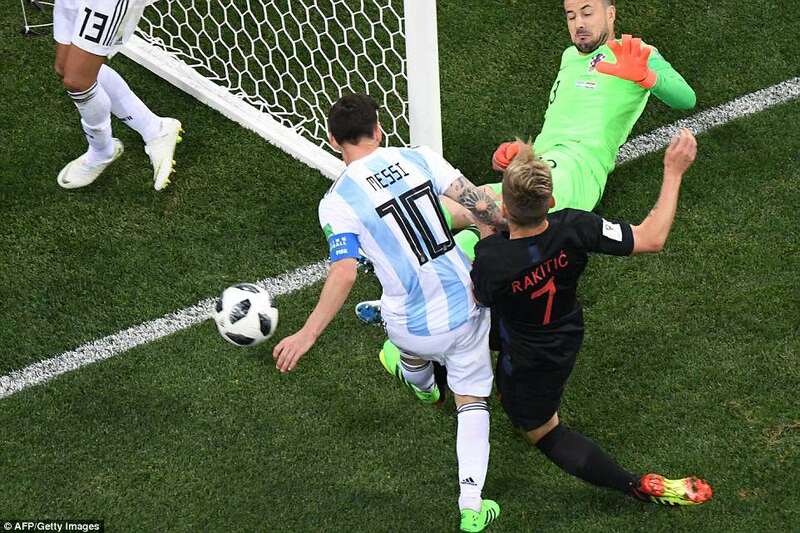 Luka Modric then crashed home a powerful effort from 25 yards out into the bottom corner to leave Lionel Messi and Co needing results in the final group games to go their way to stand a chance of making the last 16. 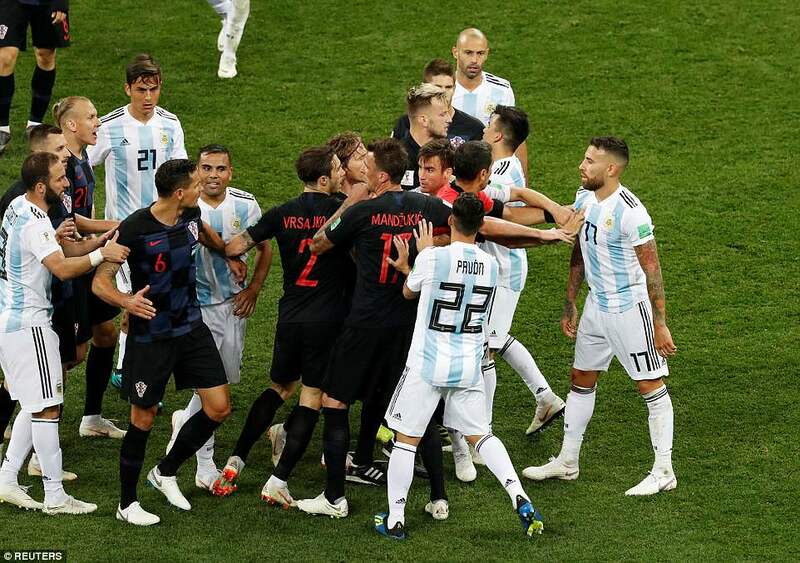 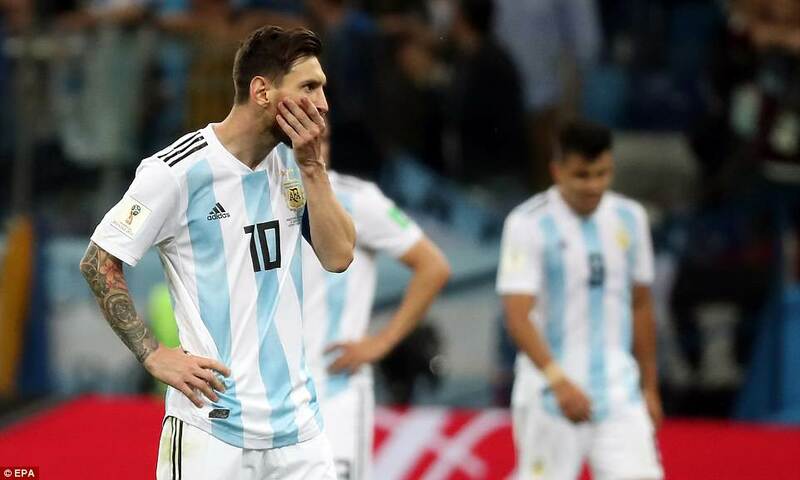 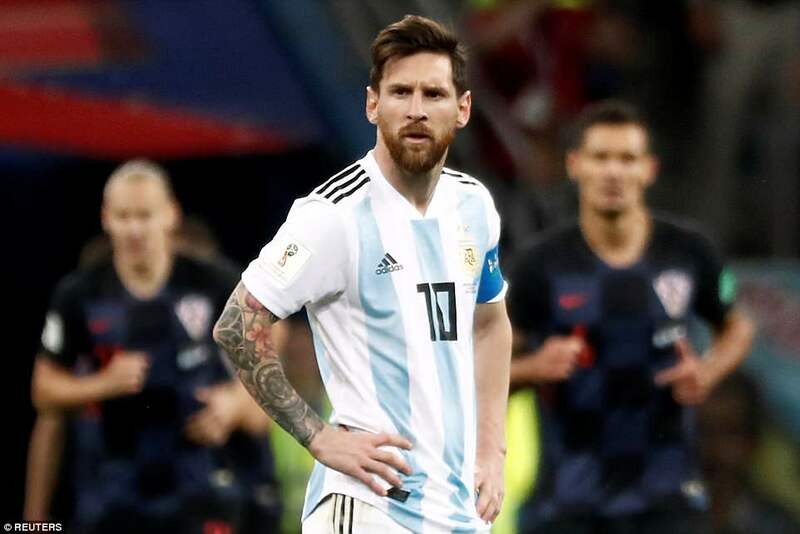 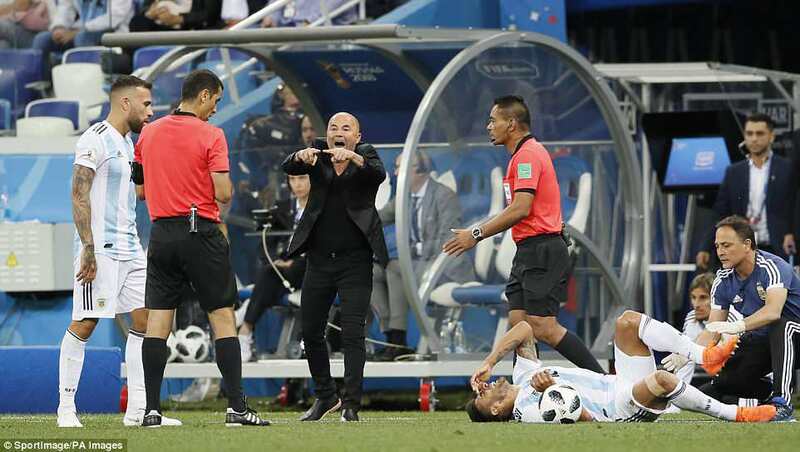 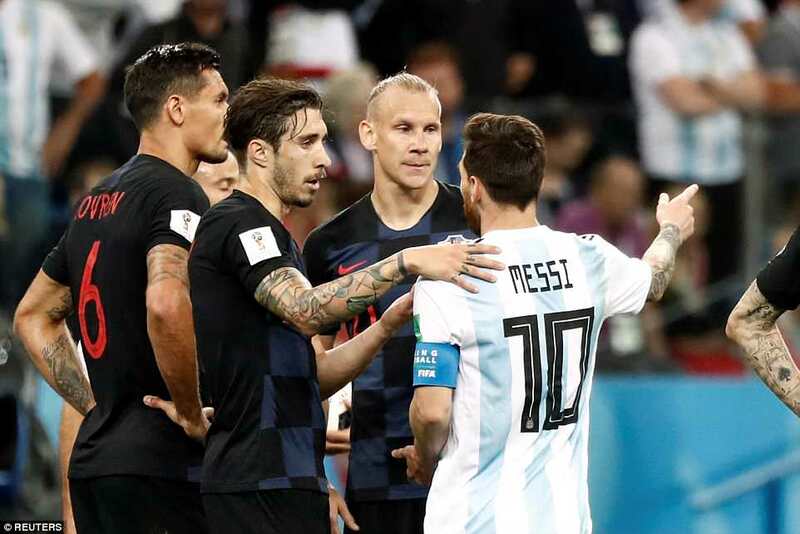 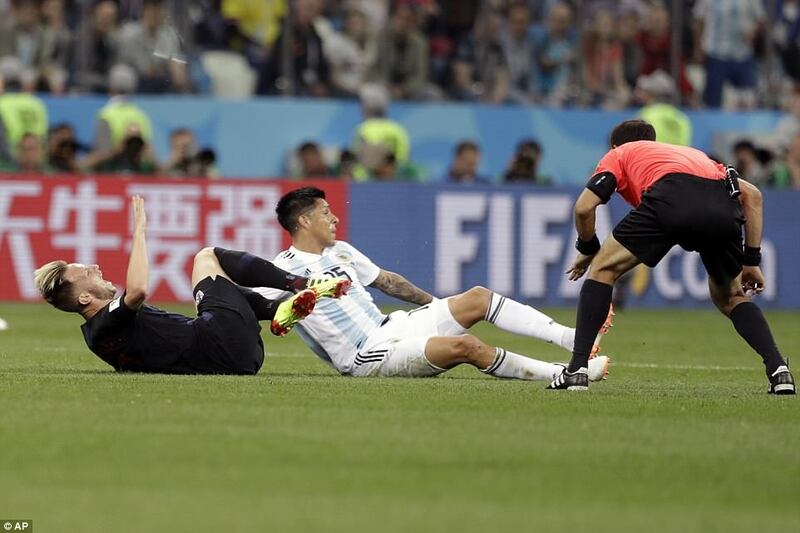 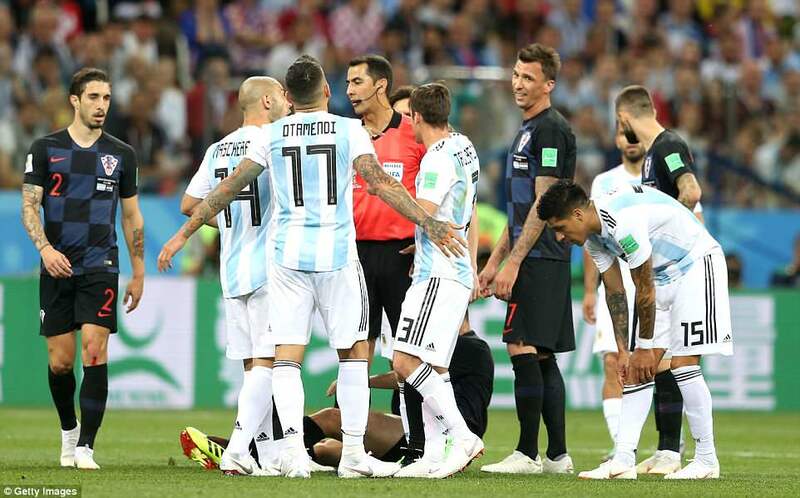 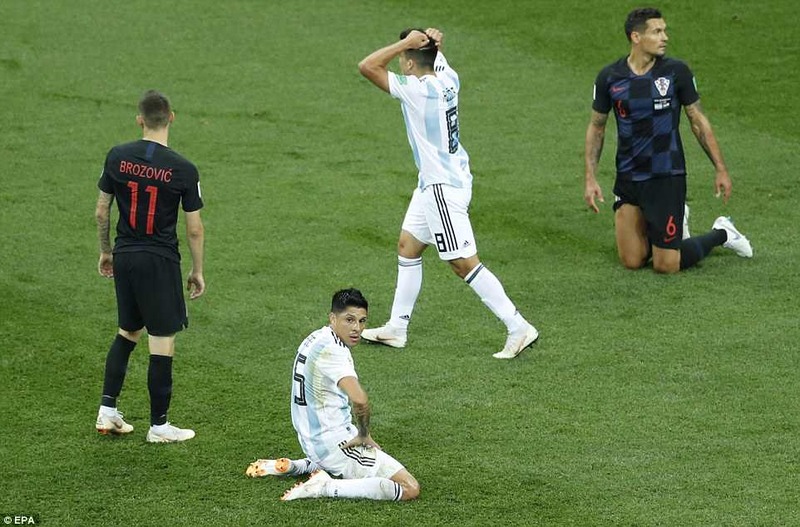 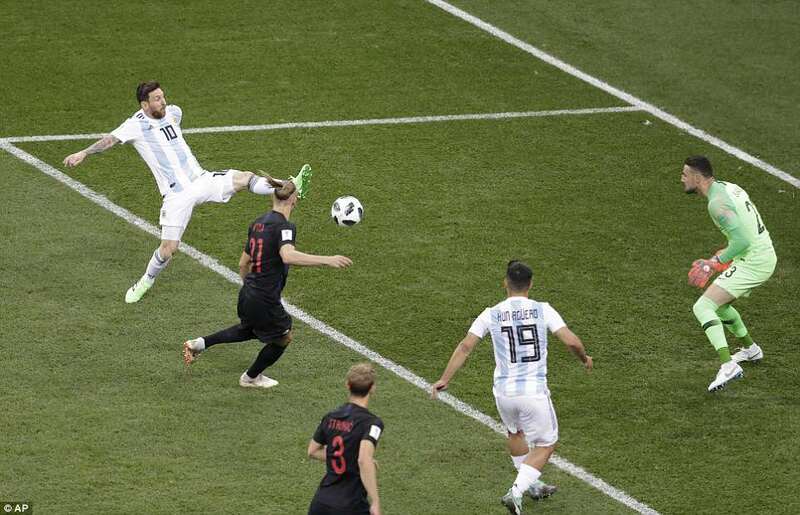 Argentina are on the brink of a humiliating group stage exit at the 2018 World Cup after losing a gripping battle to Croatia on Thursday night. 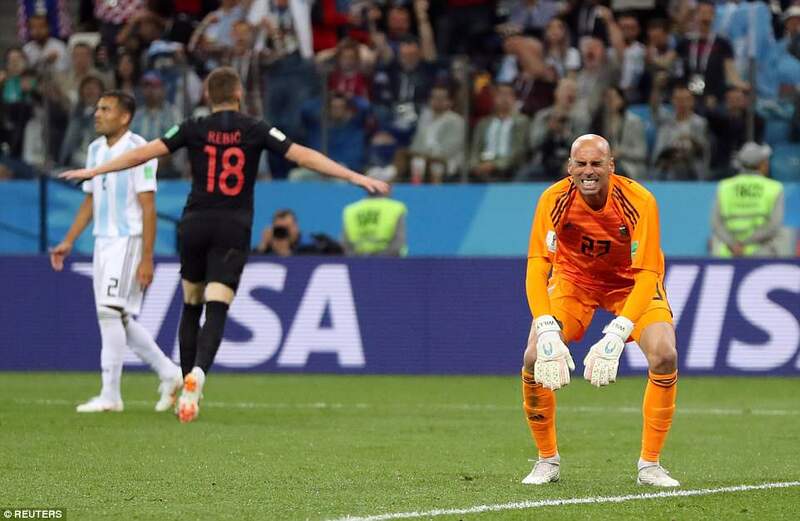 After a goalless first half the Croats took the lead in farcical circumstances after a miskick from Willy Caballero went straight to Ante Rebic, who found the roof of the net with a crisp first-time volley. 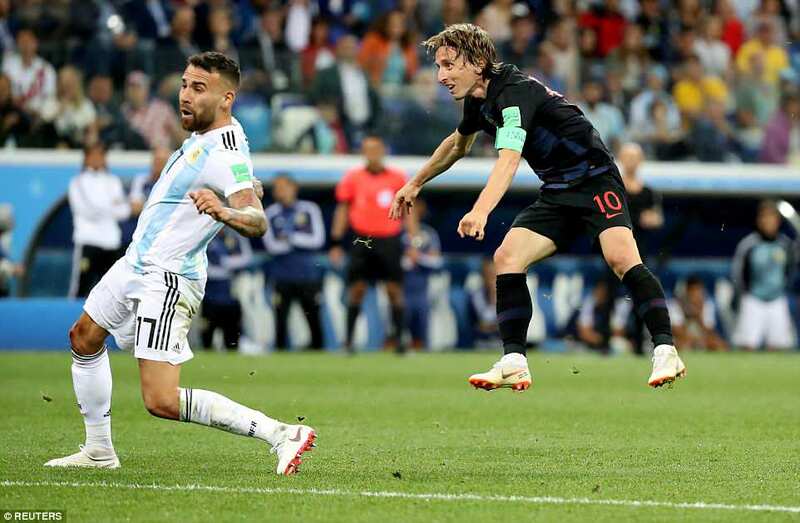 Luka Modric then crashed home a powerful effort from 25 yards out into the bottom corner to leave Lionel Messiand Co needing results in the final group games to go their way to stand a chance of making the last 16.